What do you do while you're knitting? Do you turn everything off and relax with your stitches? Do you listen to a book on tape? Something else? For me, I'm usually listening to music or watching TV, normally something that doesn't take a lot of concentration, nothing too intense. I like travel shows, especially Rick Steves' Europe, and my mind will virtually visit places that I want to see. I've been lucky enough to live in Germany and I long to go back to my home-away-from-home, Lahr, Baden-Württemberg. 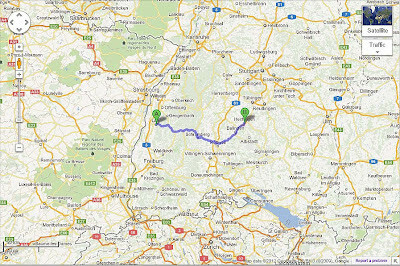 I do plan to go back someday but the hard part is trying to decide what time of year would be the best time to visit: in the late winter for Fasching or springtime for Easter, the beautiful weather in summer, the various festivals in the fall or maybe in December for the Christmas markets? It's difficult to decide on just one time of year. Of course, I'd have to visit a yarn shop, or perhaps I could see where Opal yarn is dyed (another link here). 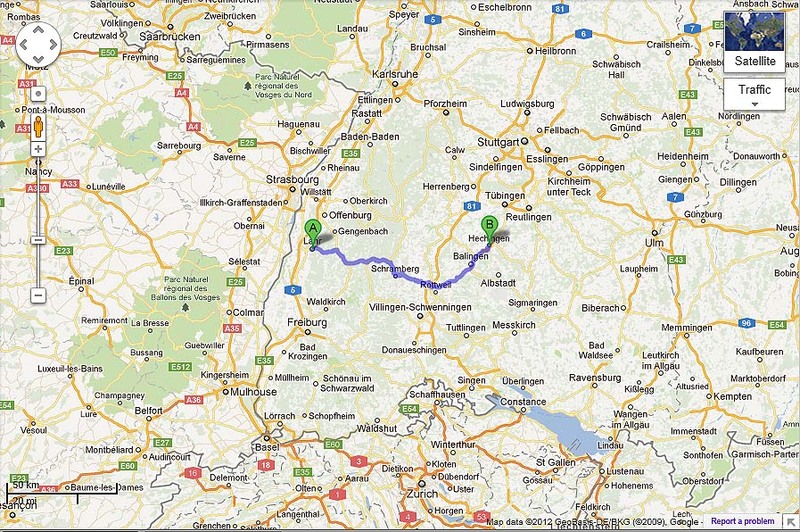 According to the yarn label it's in Hechingen and a check of the map tells me that it's about 1.5 hours from Lahr. My mind has taken me to some wonderful places this evening as I sit and knit my latest sock but now it's time to call it a night. Germany is a places I'd actually like to visit. My late MIL was born there, came here in 1952. She and her son, now my husband, traveled there frequently during his school years. They traveled by boat, she would not fly. We could never convince her to go back in her later years. Her brother lives in Nurnburg and a cousin in Munich. We can and do communicate with the cousin, then she with Onkel but I wish for a trip. Onkel Jurge came to visit in the mid 90's and it was an amazing 2 weeks; I had never seen my MIL happier. Never could understand why she refused to take us all over again. I'll keep working on my hubby, maybe we'll make it before the remainder of his family is gone.